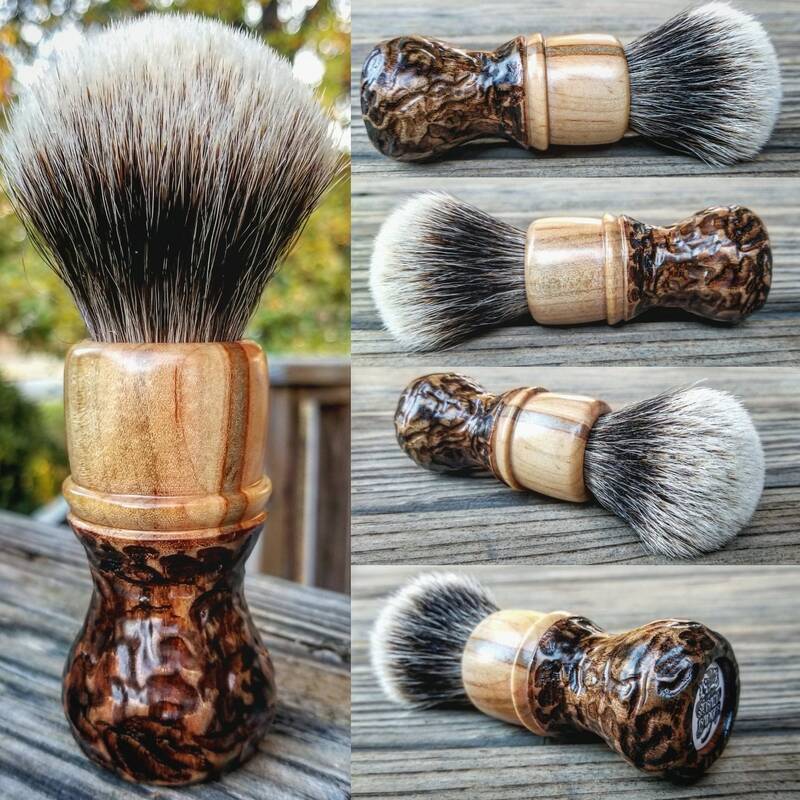 This custom shaving brush was handcrafted out of ambrosia maple wood. The bottom was textured then burned. This beautiful brush was fitted with a 24mm Two Band Finest Knot.